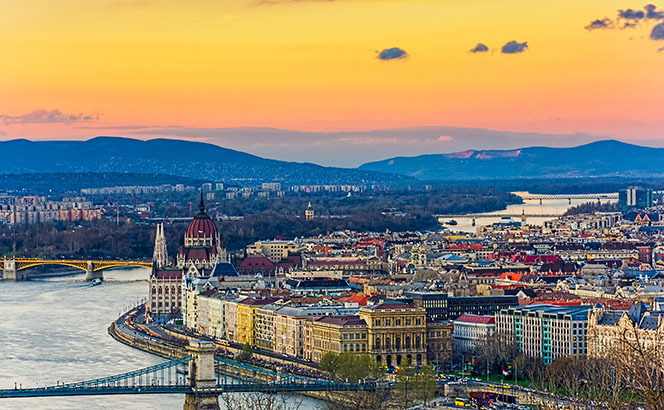 Weil, Gotshal & Manges is continuing to scale back its once-potent central and eastern Europe (CEE) operations with its entire Czech Republic-based team set to spin off at the end of the year. The New York firm confirmed today (27 November) that veteran Prague managing partner Karel Muzikář will quit after more than 25 years to set up an independent shop from 31 December alongside fellow partners Karel Drevinek, Petr Severa and Karolina Horakova. 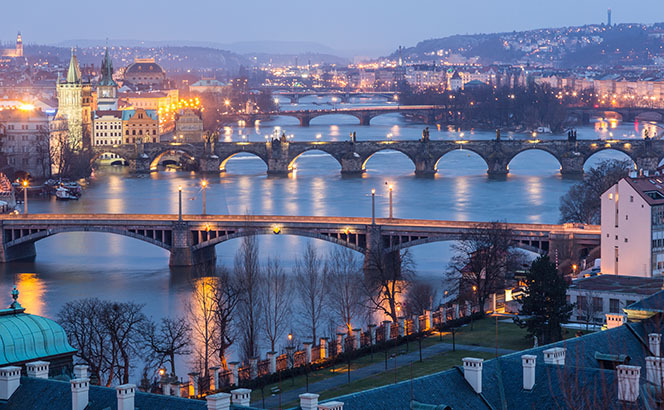 Once the jewel in the crown of Weil’s regional operations in the late 1990s and early 2000s, the now 11-strong Prague team is to leave the firm less than a year after its 20-lawyer Budapest office joined Bird & Bird , leaving Warsaw as the firm’s only office in CEE. Weil’s chair and executive partner Barry Wolf said the move ‘offers both the US and Czech practices the freedom and flexibility to address issues faced by them in the different business environments in which they operate‘, adding the two firms could ‘continue to work with each other when needed for client relationships‘. The firm also recently pulled out of the Middle East, shutting its Dubai office last year. The closures come despite Weil posting satisfactory financial results this year, its global profit per equity partner rising 18% to $3.64m amid a 10% hike in turnover to $1.39bn in 2017. 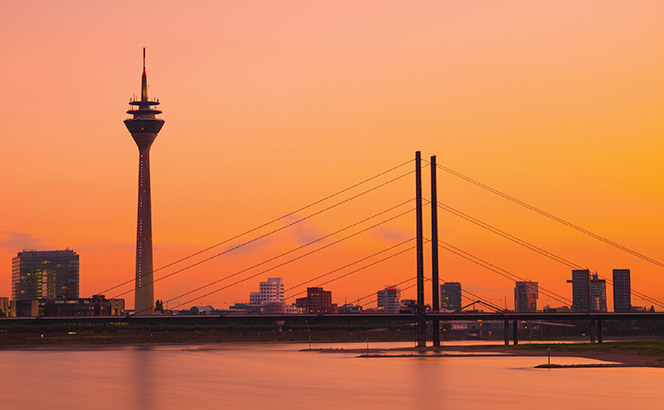 Alongside London, which last year grew revenues 33% to $165.4m, Weil has a well-regarded private equity Paris operation and two German bases in Munich and Frankfurt in western Europe. Yet the closures in CEE are highly significant for a firm that was once one of the top international brands in the region. 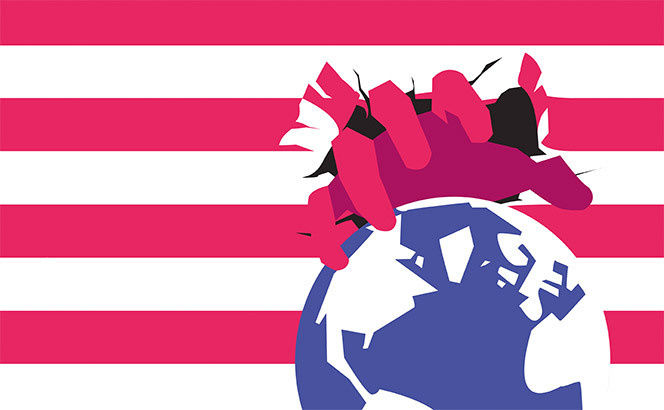 Mayer Brown and Weil, Gotshal & Manges have minted four and three partners respectively in the City amid increased global promotion rounds for the US outfits. Mayer Brown promoted 34 globally and Weil chalked up 11, with the US getting the lion’s share of promotions at both firms. For Mayer Brown the promotions, effective from January next year, match its City commitment from last year, when the firm made up four partners as part of a 31-strong global round. However, unlike last year, London outstripped Paris where only two partners were made up. 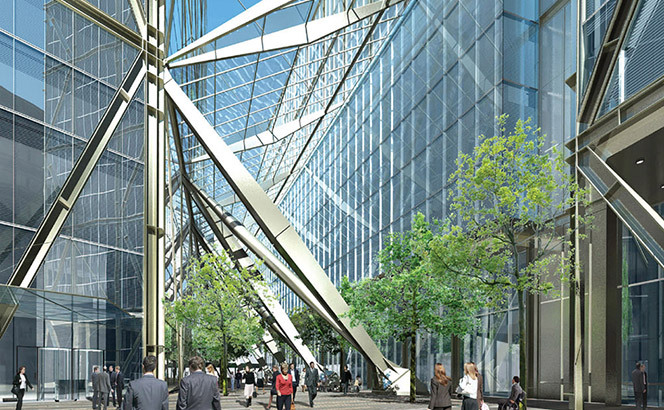 The new London partners include two in litigation and disputes resolution, one in employment and one in banking and finance. Meanwhile only one of the new City partners is a woman, with banking and finance lawyer Merryn Craske receiving the nod. Davies added that a number of laterals in the pipeline as well as internal promotions, meant expansion would continue. Meanwhile, Weil promoted three partners in London in a renewed commitment to the City. Last year the firm promoted no partners in London for the first time since 2010, while this year 11 partners were promoted across the firm’s Frankfurt, London, New York and Silicon Valley offices. Private funds, structured finance, and business finance and restructuring received a partner apiece in London, with Gemma Sage being the only woman promoted. New York received the majority of the new partners, with six being made up, an increase of two from last year. White & Case’s City hiring spree continues to go great guns with the recruitment of Weil Gotshal & Manges’ well-regarded head of banking, Mark Donald. Donald has been at Weil for six years, taking on the head of banking role vacated by Stephen Lucas when he left for Kirkland & Ellis in 2014. Before Weil, Donald had spent 15 years at Hogan Lovells. A leveraged finance lawyer by trade, Donald is experienced in acquisition finance, advising sponsors and banks on leveraged buyouts and mid-market transactions, as well as real estate acquisition finance and fund financing. White & Case has been on something of a whirlwind in the City, having gone full steam ahead with its NY-London focus and ambitions to go ‘toe-to-toe’ with the Magic Circle in London as part of a 2020 plan led by Oliver Brettle, member of the global executive committee and former London executive partner. 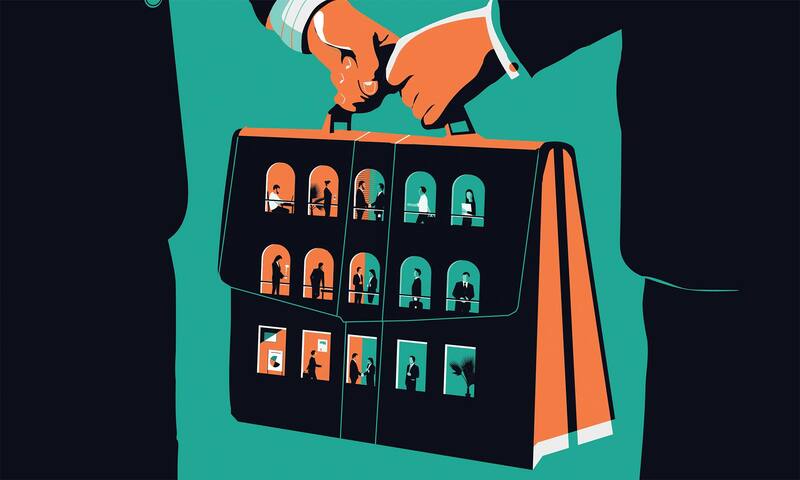 Brettle, London-based member of White & Case’s global executive committee, pointed to a strengthening of the banking practice this year, including through the internal promotions to partner of Richard Lloyd and Shameer Shah, and the lateral partner additions of Shane McDonald from Hudson Advisors and Sudhir Nair rom Baker McKenzie. Other recent laterals at White & Case include high-profile infrastructure partner Simon Caridia from Herbert Smith Freehills in October and in the same month, Weil counsel Thomas Falkus as a partner for its thriving capital markets practice. White & Case also recently added David Robertson, formerly of Bryan Cave Leighton Paisner, to its arbitration practice, Royal Bank of Scotland’s former head of litigation and investigations Laura Durrant as a partner, and Cadwalader, Wickersham & Taft litigation partner Steven Baker for the firm’s commercial litigation practice. Another high-profile move from Weil to White & Case came at the start of the year in Weil’s co-head of dispute resolution, Hannah Field Lowes. They gave you a Fisher Price magic set. My stage name was Roger because they already had a Michael. I’m amazed you managed to find out about this – I thought it was quite a well-kept secret! 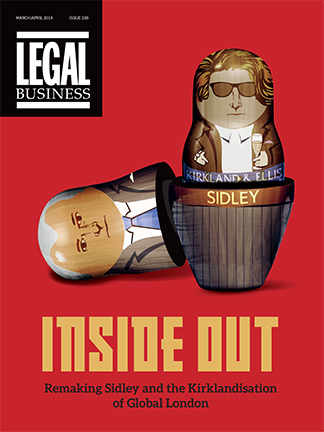 Weil Gotshal & Manges and Slaughter and May have scooped key mandates on Bain Capital’s proposed £1.2bn takeover of UK insurer esure as RPC and Clifford Chance (CC) wade into the House of Fraser saga. Weil is advising Bain on the proposed take-private, which will see the private equity player acquire, via its Blue (BC) Bidco Limited subsidiary, all shares in the motor and home insurer for 280 pence per share. The Weil team is led by private equity partner Marco Compagnoni and senior consultant Ian Hamilton. The mandate is significant for a firm which has historically acted for Bain in conjunction with Advent International on multiple payment processor transactions. These include the $745m acquisition of Concardis and its subsequent merger with NETS in 2017, a $1bn deal to acquire the payments units of Intesa Sanpaolo Banking Group in 2016, as well as the acquisition and subsequent London listing of Worldpay in 2015. Slaughters, meanwhile, acted for esure in a continuation of its longstanding relationship with the company. The firm’s corporate team was led by partners John Papanichola and Robert Innes. A Skadden, Arps, Slate, Meagher & Flom team led by London corporate partner Scott Hopkins advised the joint financial advisers to Bain Capital: Goldman Sachs; Cenkos Securities and Dean Street Advisers. The cash consideration will be funded from equity financing drawn down from Bain Capital funds as well as minority equity invested from a number of HarbourVest, Lexington Partners and LGT funds. Debevoise & Plimpton, led by partner Katherine Ashton, advised HarbourVest. Elsewhere, the administration of UK department store chain House of Fraser last Friday (10 August) and its subsequent £90m disposal to Mike Ashley, the owner of High Street chain Sports Direct, has led to RPC and CC being added to the list of advisers. RPC is advising Sports Direct and CC is advising EY, which is acting as the administrator of the company. The pre-pack administration came about after Chinese investor C.banner, the owner of iconic London toy shop Hamleys, earlier this month backed out of a deal to inject £70m into House of Fraser and issued a profit warning. Earlier this year, House of Fraser had been looking at a controversial company voluntary agreement (CVA) with landlords, which would have seen several stores closed and rent reductions agreed with unsecured creditors. To that end, Freshfields Bruckhaus Deringer was mandated by House of Fraser, with Kirkland & Ellis acting for the bondholders. The Freshfields team was led by restructuring partner Ken Baird and included partner Adam Gallagher, and dispute resolution partner Craig Montgomery. Kirkland has also this week been mandated to advise beleaguered UK DIY brand Homebase on its CVA, with a team led by restructuring partners Kon Asimacopoulos and Elaine Nolan. The CVA, which would see 42 stores shut, is set to be put to a creditor vote later this month. Travers Smith, with a team led by restructuring partner Edward Smith, advised KPMG as the supervisor of the House of Fraser CVA. The CVA took an interesting turn recently as a group of landlords, represented by restructuring firm Begbies Traynor and property agency JLL, filed a legal challenge to the proposed arrangement. The petition in the Scottish Courts challenged ‘alleged unfair prejudice against certain creditors as well as material irregularities in the implementation of the CVA’, according to a joint statement from Mark Fry of Begbies Traynor and Charlotte Coates of JLL. The challenge was last week settled out of court. Lord Justice Leggatt of the High Court has been forced to scale back legal costs after US firm Weil, Gotshal & Manges racked up £1.5m in fees representing client BlackRock. Investment management company BlackRock defended a case against energy firm Dana Gas last year and in November BlackRock was deemed successful on a preliminary issue. As a result, BlackRock produced an estimate of costs amounting to £408,000 and asked the court to order Dana Gas pay 60%. After Dana made seven further unsuccessful applications to the court, BlackRock again demanded 60% of its costs to be paid. Overall, it estimated its costs to be £1.47m. But Leggatt LJ described Weil’s hourly rates as ‘extremely high’, despite conceding that solicitors were required on an ‘urgent basis’. Nine Weil fee-earners were involved in the case, with six of them charging hourly rates of over £700. The top rate was £946, while a trainee was charged out at £282 an hour. Ultimately, he ruled the costs ‘obviously unsustainable’ and ordered Dana to pay a total of £425,000. 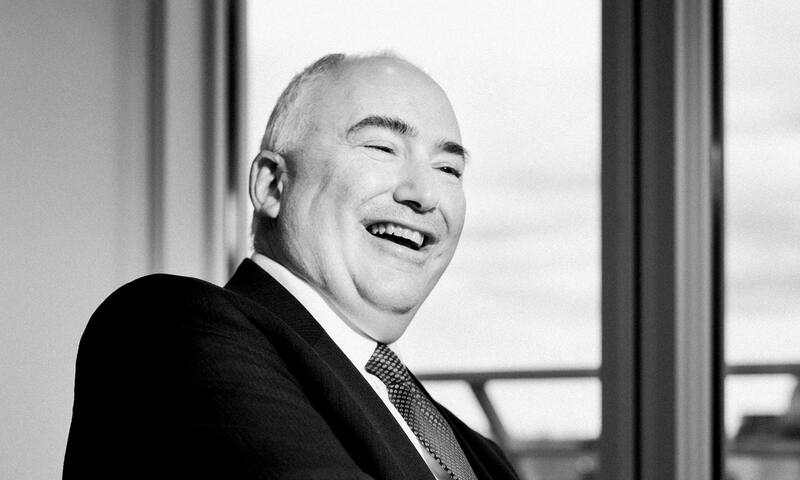 Weil had instructed Blackstone Chambers’ Andrew Scott. Dana was represented by Squire Patton Boggs, who enlisted One Essex Court’s Daniel Hubbard. Excessive costs have been heavily scrutinised since The Royal Bank of Scotland (RBS) last year accumulated over £100m in legal costs as it defended itself against a group of shareholders who lost money following its 2008 rights issue. 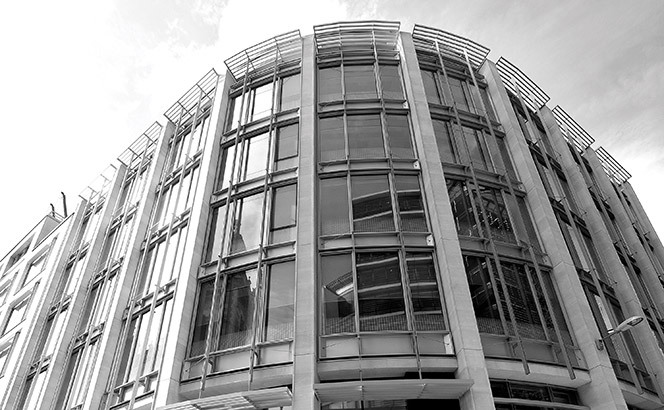 Herbert Smith Freehills acted for RBS on the case, with a team led by partners Adam Johnson, Simon Clarke, Kirsten Massey and James Norris-Jones. Weil Gotshal did not comment. Weil, Gotshal & Manges has scored an 18% global rise in profits per equity partner (PEP) as London turnover soared 33%, while Debevoise & Plimpton recorded a 17% PEP increase against a 12% revenue uptick. Fellow US firm Reed Smith has finally returned to growth after two consecutive years of decline, increasing its top line 4% to $1.12bn in 2017. The firm’s London outpost had a particularly strong comeback, growing revenues 14% in sterling terms to £147m. Weil’s firm-wide revenues rose 10% to $1.39bn, while PEP grew 18% to $3.64m and revenue per lawyer grew 6% to $1.24m, despite an increase in lawyer headcount and the number of equity partners. The firm’s City arm office generated $165.4m (£128m) in revenue last year – a near 33% increase – based on the average sterling exchange rate for 2017. A buoyant market for US restructuring work with an international element has bolstered London revenues while the firm’s leveraged finance, structured finance and private equity practices continue to grow. Key matters for the year include advising Westinghouse Electric Company, a subsidiary of Toshiba Corp, on its $9.8bn Chapter 11 proceedings, together with the firm’s US and European offices and advising offshore drilling provider Paragon Offshore on its parallel Chapter 11 and English administration proceedings. Other major deals for Weil include advising Oaktree Capital on the global sale of Fitness First, as well as OMERS Infrastructure on the increase of its interest in Thames Water, AMP Capital on the acquisition of the Regard Group and mandates for Antin Infrastructure. Other key developments in London include the hire of corporate partner James MacArthur from Herbert Smith Freehills in May 2016, the addition of real estate and infrastructure finance partner Paul Hibbert from Baker McKenzie in April 2017 and real estate investment partner Anthea Bamford from Berwin Leighton Paisner in November 2017. Meanwhile, Debevoise’s firm-wide revenue for the year was $822m, up from $735m in 2016, a 12% increase. London saw revenue rise 5% to $112.7m from $107m the previous year. PEP rose 17% to $2.8m from $2.4m. Key litigation matters in London include advising Rolls-Royce on its Deferred Prosecution Agreement with the UK’s Serious Fraud Office. Significantly, Reed Smith’s PEP grew 6% to $1.177m amid an expansive year marked by 55 lateral hires worldwide, the addition of a 50-strong European team from the collapse of KWM Europe and a new office in Miami. Revenue per lawyer grew 3% to $722,000 as the firm increased its lawyer headcount overall by 1% to 1,550 including 680 partners. Thomas added that life sciences and healthcare had a particularly strong year alongside energy and natural resources. The five sectors in which the firm is committed to being ‘industry leader’ also include financial industries, entertainment and media, and shipping and transportation. The firm handled the US and EU competition clearance for Hong Kong shipping firm OOCL in its $6.3bn acquisition by China’s COSCO Shipping, which Thomas described as a ‘great example of sector expertise’, and advised Citibank on the financing of a public infrastructure project in Colombia. 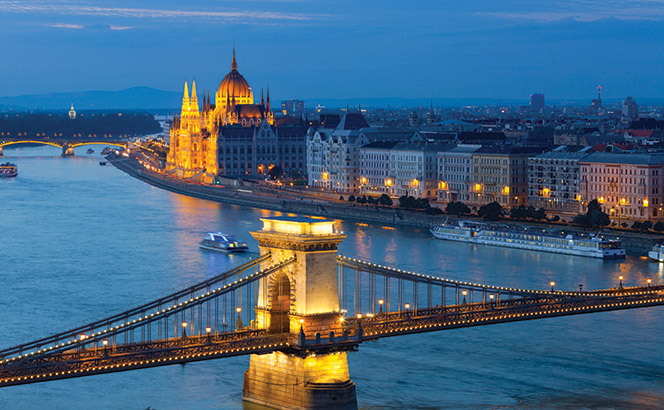 Bird & Bird has bolstered its Budapest operations by adding a 20-strong Weil, Gotshal & Manges team, bringing the US firm’s presence in Hungary to an end. Both parties insisted that the two-partner team move on 1 February was the result of an ‘amicable arrangement’ between the firms rather than headhunting by Bird & Bird.